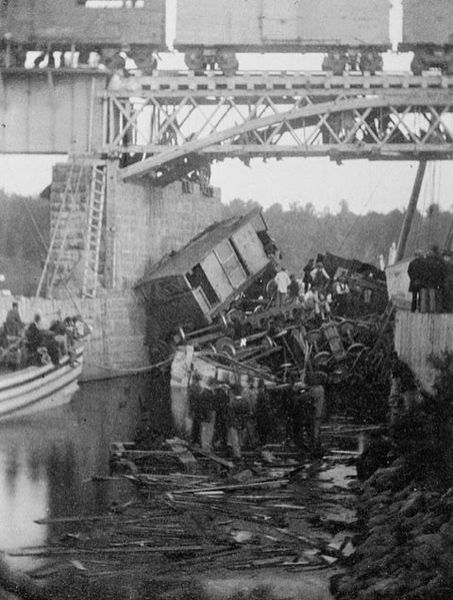 Canada had its biggest train wreck in June, 1864. While Americans were fighting in the Civil War and the Underground Railroad helped thousands of slaves escape to freedom, the Canadians lost a portion of its immigrant population in the biggest train wreck of its history. The engineer claims that he didn’t see the signal alerting him that the swing bridge was open and the train dove into the Richelieu River killing 99 including the fireman. The next largest Canadian train disaster didn’t occur until 1947, when 31 people were killed in the wake of a head on collision. Learn Something: The Underground Railroad that carried thousands to freedom began to end its own long and harrowing passage. With the fugitive slave act being repealed in the same month and year that this horrific collision happened, along with the end of the civil war coming to a close, the railroad that had brought so many people to freedom would no longer be needed. Interesting History fact: The "Underground Railroad" wasn't actually a railroad. It was more of a series of safehouses that escaping slaves stayed at along the journey to Canada. Although the fugitives sometimes traveled on real railways, the primary means of transportation were on foot or by wagon. Also, The above pictured train had nothing to do with the underground railway. It is known as the St-Hilaire train disaster and it had mainly German and Polish immigrants on it when it crashed. I had to LOL when I saw this tied to the Underground Railroad..
Freedom does has it price and the black market is dangerous !